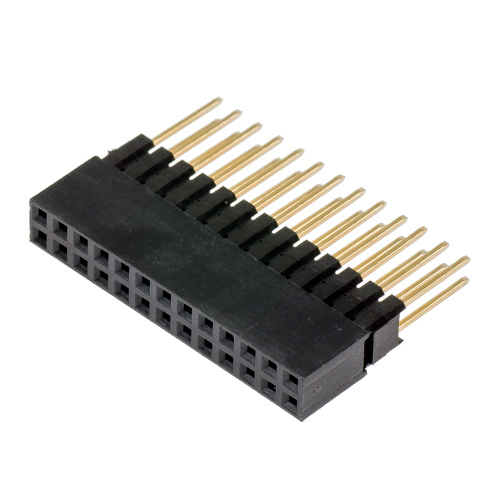 This is a 2.54 mm (0.1") pitch, 2 x13-pin tall female header, with long legs. The socket part is 13.59 mm (±0.25 mm) tall. 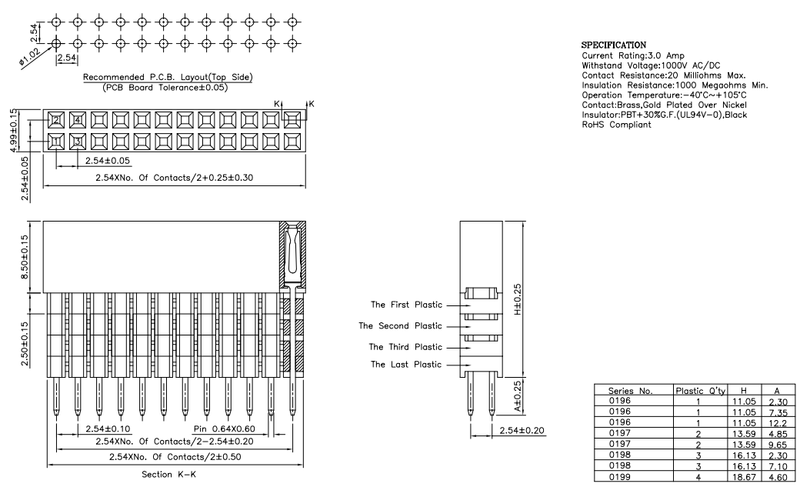 The pin header is 9.65 mm (±0.25mm). Other dimensions are listed in the diagram below.